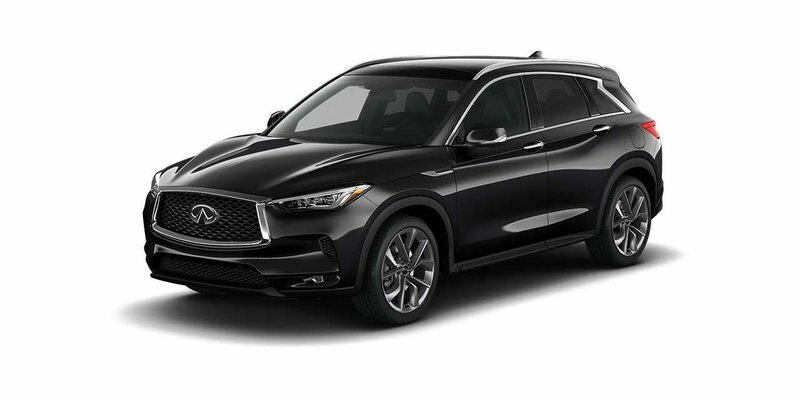 2019 QX50 ESSENTIAL 2.0t AWD with Eclipse Black Metallic exterior and Wheat leather appointed seating! An all-new model for 2019, this premium SUV has world-first technologies, stand-out design and unrivalled interior space. The ESSENTIAL package adds Around View Monitor, Tri-zone automatic climate control, memory seats, mirrors and steering wheel, front & rear parking sensors, Infiniti InTouch Navigation, and more! Call or email our sales team today to view!